In the opinion, Attorney General Cuccinelli distinguished his analysis between the constitutional right to open carry and the statutory privilege granted by a concealed handgun permit. As might be expected, much of the opinion was concerned with analogizing to DiGiacinto v. Rector and Visitors of George Mason University. In DiGiacinto, decided January 13th of this year, the Virginia Supreme Court held that George Mason University’s regulation banning firearms in university buildings was constitutional. However, the key distinction between the regulation at issue in DiGiacinto and UVA’s policy is a matter of administrative law. In Virginia, regulations are promulgated via the due process protections in Virginia’s Administrative Process Act, and when properly promulgated have the force and effect of law. Policies on the other hand do not have the force of law nor can they survive a direct conflict with a regulation or a statute. However, the UVA policy, not having the force and effect of law, does not trigger any statutory prohibition. Failing such a finding, it is to be assumed that the General Assembly intended the privilege granted by the concealed handgun permit to supersede any such policy. Disappointingly, the opinion simultaneously held that such a policy, developed subject to the powers statutorily granted to UVA to formulate such policies, and sufficiently narrowly tailored, would prohibit the open carry of firearms, even by permit holders, subjecting offenders to possible trespassing charges. 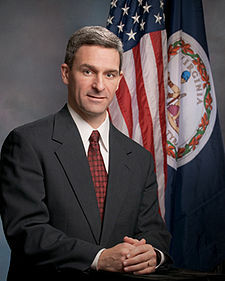 It is interesting to note that Attorney General Cuccinelli, who was criticized by some for his office’s defense of GMU in DiGiacinto, took the opportunity to make a pro-gun editorial comment in the UVA opinion. The lesson to be taken from both DiGiacinto and this opinion is that preemption needs to be expanded to cover agency action. I expect that this will be a continuing goal of the Virginia Citizens Defense League in 2012. This entry was posted in Administrative Regulations, Campus Carry, Concealed Carry, Open Carry, State Laws, Virginia. Bookmark the permalink. The Utah Valley University has implemented a similar policy not allowing open carry on campus although the Utah Constitution states that no agency can implement such rules. The campus police have stated publicly that anyone caught will be cited for disorderly conduct, removed from campus and face complete removal from their course of study. This a step in the right direction, but UVa employees and students are still subject to the policy and can be fired or expelled for having a firearm on-grounds even if they do have a concealed carry permit. Is there a legal recourse if you are dismissed or expelled for possessing a firearm on-grounds while holding a valid concealed carry permit? As a staff member, I’d rather not lose my job, but would still like to able to defend myself. Concealed means concealed. Nobody should ever know-except in a deadly situation. If it came to it, I’d rather be jobless and alive than dead and un-armed.